This tropical smelling dry oil perfume will literally stop people in the streets! I wear this everyday and always get asked what I'm wearing. I put it on first thing after I get out of the shower because it makes my skin silky. Sometimes I'll put on another perfume to mix, because that's just me I'm a mixer, but sometimes I don't. What is a Dry Oil Perfume? It's NOT a perfume, in that the texture is different. 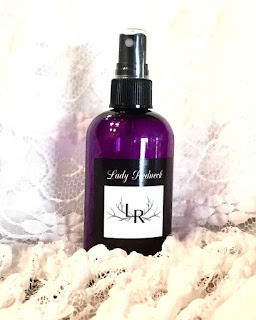 It feels more like a luxurious body spray that makes your skin super soft! What is the scent? I call this "Lady Redneck" because this is a signature scent. To me, it's tropical. Everyone smells it a little different but people absolutely love it! I've had people stop me in the street, on the store, at the gym... wondering what I'm wearing. Where can I get it? My store website is www.ladyredneck.org/store It's only $12 for the adorable 4 oz. bottle. Live your music. It has a lot of meaning to them. That makes me think of the good old days growing up and what I wanted to have growing up. Thank you so much for your music.